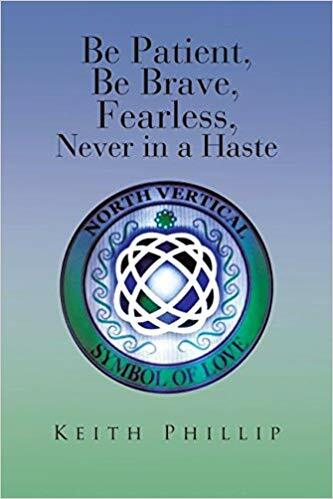 “Be Patient, Be Brave, Fearless, Never in a Haste” is a compilation of some of the author’s best works. He offers to teach and inspire readers in a variety of themes heartfully expressed in writing. For Keith Phillip, his writing is a reflection and expression of his thoughts and imagination. He recognizes that the art of poetry has the power to touch and inspire others in ways that only words can do. He believes that poetry is a powerful and positive communicative tool that can be revolutionary, inspiring, and life-changing. Throughout his book, readers will discover just how powerful words can be. “Be Patient, Be Brave, Fearless, Never in a Haste” shares the author’s thoughts about philosophy, religion, art, and life itself. Through this 70-page collection, he opens up his heart and mind through his writings and essays and wishes to impart his insights about various topics. Most of all, he hopes to inspire his readers enough to channel their own feelings and thoughts and express them in the way that they could. Aiming to touch more hearts, Phillip’s “Be Patient, Be Brave, Fearless, Never in a Haste” is set to join the upcoming Miami Book Fair International 2018. Regarded as the nation’s finest literary festival, this eight-day affair will truly be a celebration for literary lovers everywhere. Happening on November 11-18, 2018, this event is definitely a celebration that should not be missed! Keith Phillip is a naturally gifted person who thinks that there’s something bigger than him in the universe. What the gifted people receive may be used for many reasons, but that gift should be shared with the world. Any personal credits gained should also be shared among those who struggled with him/her through the development of this gift. Personal is the principal that really matters. Keith takes no credit for the entire inspiration is a connection to positive elements in our natural life.